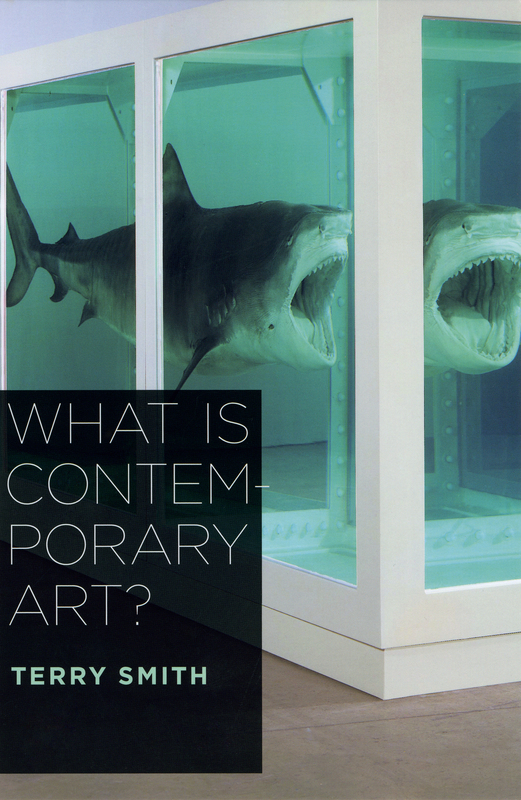 We are pleased to announce that Terry Smith, author of What Is Contemporary Art? has won the 2010 Frank Jewett Mather Award for Art Criticism. The award, given each year by the College Art Association, is considered one of the most important in art criticism and will be presented to Smith on the evening of Wednesday, February 10 at the CAA’s annual conference in Chicago. Terry Smith is the Andrew W. Mellon Professor of Contemporary Art History and Theory at the University of Pittsburgh. 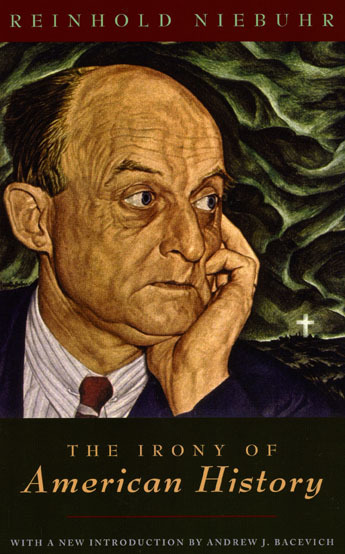 His many books include The Architecture of Aftermath, also published by the University of Chicago Press. Navigate to the CAA website for more information about the CAA awards and to view the complete list of previous Frank Jewett Mather Award winners. . . .
It’s that time of the year again, (or in the present case that time of the decade), when editorialists make like Santa and begin composing their annual best-of book lists. And so far this season we’ve got at least two titles that are receiving more than a lump of coal from the critics. 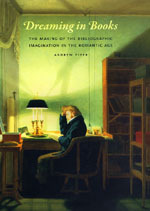 First off is Andrew Piper’s new book Dreaming in Books: The Making of the Bibliographic Imagination in the Romantic Age which recently received a spot on the top of The New Republic‘s list of “The Best Art Books of the Year.” Jed Perl writes for The New Republic: “What renders a book more valuable as a keepsake than almost any other,” Leigh Hunt wrote in 1828, “is, that, like a friend, it can talk with and entertain us.”Andrew Piper—who quotes Hunt’s words—has written a book about the nineteenth century’s romance with books, looking at the many ways in which the physical character of a book and its illustrations shaped a reader’s avidity. Piper’s scholarly history is fueled by a bookish ardor—you can feel the love that went into his footnotes. This writer’s thinking comes straight out of the long afternoons he must have spent in the library, . . .
Joshua Blu Buhs, author of Bigfoot: The Life and Times of a Legend has a written an article for the Washington Post‘s Short Stack blog that makes an unlikely, but nevertheless illuminating comparison between the mythical creature that is the subject of his book, and another mythical figure more appropriate to the season: Santa Claus. As Buhs argues, “though comparatively domesticated, his rough edges hidden behind a great white beard and cherubic cheeks,” as with Bigfoot, the myth of S. Claus has volumes to tell us about ourselves and the culture we inhabit. As Buhs writes, “We tell stories about Santa Claus not because we believe in him, but because those stories convey messages we want shared—about generosity and pure love and respect for others. 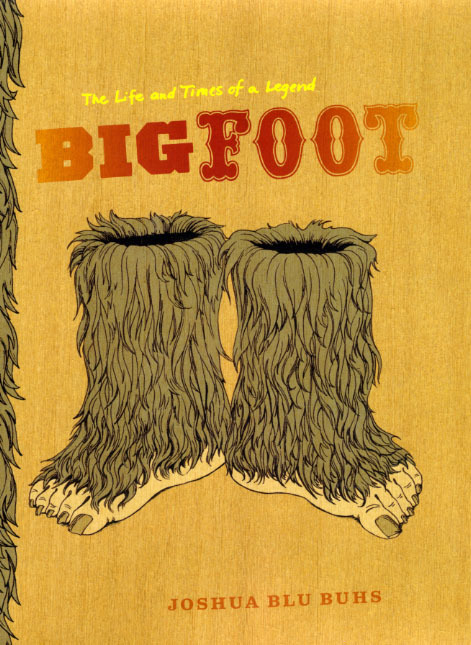 And that’s why we tell stories about Bigfoot. Not only to argue for and against the existence of the Big Guy, but because through those stories we come to understand more about ourselves, our neighbors, and our place in this world.” Navigate to Buh’s article on the Short Stack blog for more, or see this excerpt from his book, this interview, or Buhs in dialogue with Sigrid Schmalzer, author of The People’s Peking Man, about . 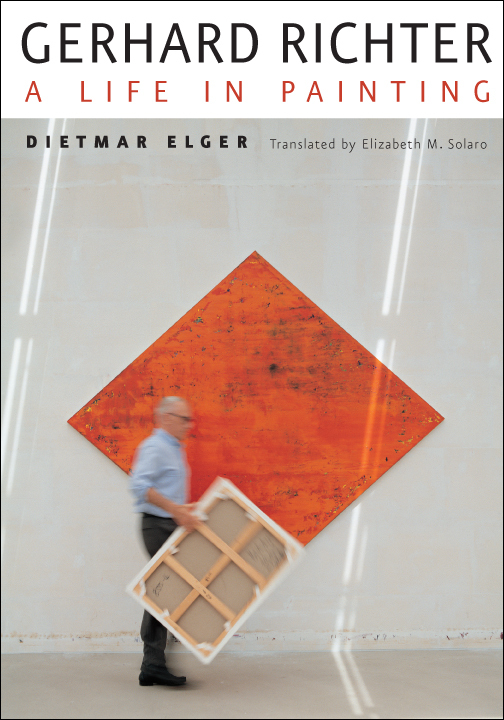 . .
Bookslut contributor Guy Cunningham has recently posted a review of Dietmar Elger’s biographical account of one of the most important and influential artists of the post-war era, Gerhard Richter: A Life in Painting. 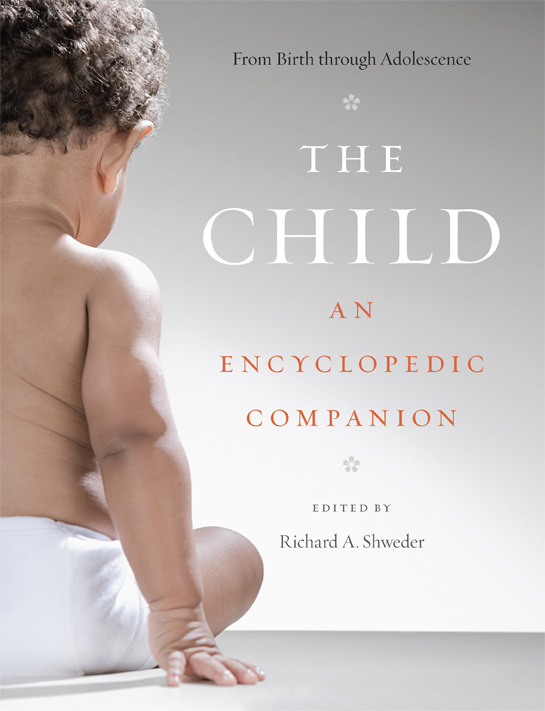 In his review, Cunningham notes how Richter’s work strikes a profoundly ambivalent note somewhere between literal representation and the abstraction of concern to most of his modernist contemporaries, and takes special note of Elger’s biography for its ability to duplicate this aspect of Richter’s work in the telling of the artist’s life. As Cunningham writes: “The great accomplishment of Gerhard Richter: A Life in Painting is the way it captures ambivalence, which runs throughout much of the artist’s work. This detachment emerged early in Richter’s career, beginning with his ‘photo’ paintings—paintings based on and evocative of particular photographs—in the 1960s. As Elger explains, ‘Working from a photo eliminates the artifice of form, color, composition… The intention is to give paintings the most unartistic, impersonal, and distanced character possible.…'” Accordingly, Cunningham continues, “any details that could influence our view of Richter’s work are intentionally played down… in keeping with Richter’s stated belief that ‘Pictures which are interpretable, and which contain a meaning, are bad . 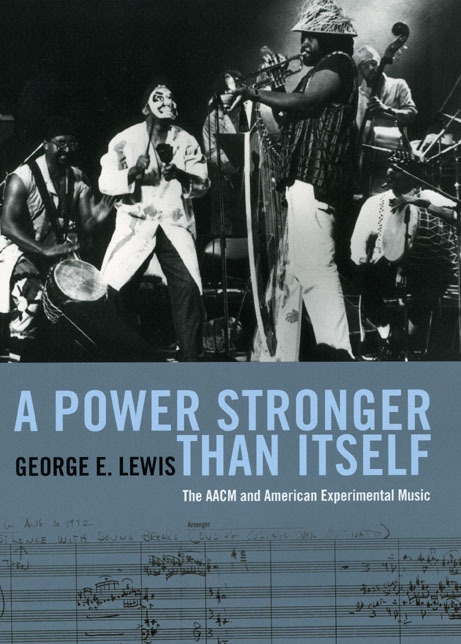 . .
Jazz.com‘s Ted Panken recently posted an in-depth two–part interview with George E. Lewis, author of A Power Stronger Than Itself: The AACM and American Experimental Music. In the interview Panken and Lewis engage in a detailed dialogue on the history, theory, as well as practice of one of the most influential jazz collectives of the 20th century—The Association for the Advancement of Creative Musicians. From Panken’s preface to the interview: A Power Stronger Than Itself is a landmark work. The bedrock of the text is an exhaustively researched linear narrative history, constructed on over 90 interviews from which Lewis traces keen portraits of numerous members; AACM archival records; encyclopedic citations from contemporaneous literature, both from American and European sources; and vividly recounted personal experience. Furthermore, Lewis contextualizes the musical production of AACM members—a short list of “first-wavers” includes such late 20th-century innovators as Muhal Richard Abrams, who stamped his character on the principles by which the AACM would operate; the founding members of the Art Ensemble of Chicago (Roscoe Mitchell, Joseph Jarman, Lester Bowie, Malachi Favors, and Don Moye); Anthony Braxton, Leo Smith, Leroy Jenkins, Henry Threadgil, Amina Claudine Myers, and John Stubblefield—within both the broader spectrum of experimental activity . 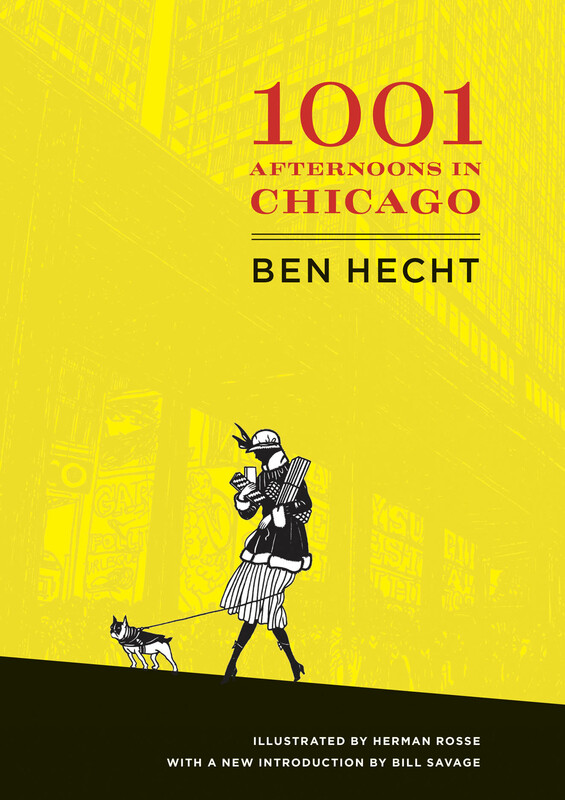 . .
“Hecht was a reporter, a newspaper man in America’s hottest crime city during American journalism’s golden age.” So begins Richard Rayner’s review of the University of Chicago Press’s republication of Ben Hecht’s writing for the Chicago Daily News in A Thousand and One Afternoons in Chicago. Though he is perhaps best known for his work in Hollywood as a screenwriter, director, producer, playwright, and novelist, Ben Hecht began his career on the gritty streets of Chicago, chronicling the city as a reporter with a knack for penetrating through the city’s layers of dust and ice to capture a rarely seen vision of the life it contained, as Rayner writes: “I have lived in other cities but been inside only one,” Hecht said, and 1,001 Afternoons in Chicago, originally published in 1922 and recently re-issued in a gorgeous paperback facsimile of the first edition, records that intimacy. “I ran everywhere in the city like a fly buzzing in the works of a clock,” Hecht notes. He haunted “streets, studios, whore houses, police stations, courtrooms, theater stages, jails, saloons, slums, mad houses, fires, murders, banquets, and bookshops.” He earned his early glamour as a brash poet of Chicago’s underbelly. And indeed from . 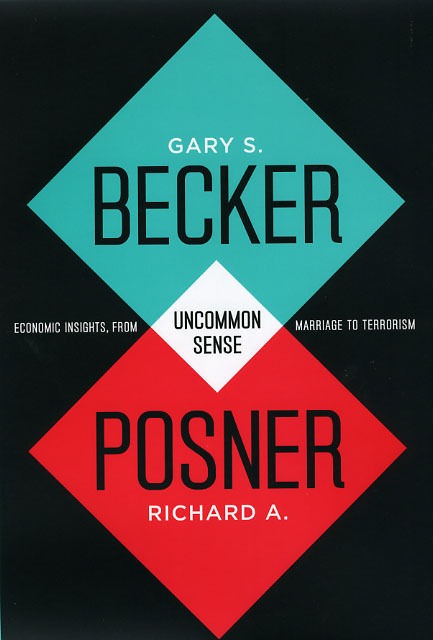 . .
Gary Becker and Richard Posner have been offering up some of the most insightful social and political commentary on the internet through The Becker-Posner blog for five years now. Starting back in December of ’04, Becker, a Nobel Prize-winning economist, and Posner, a renowned jurist and legal scholar, (both at the University of Chicago), teamed up to offer their equally learned, but sometimes conflicting insights on everything from the legalization of gay marriage to the sale of human organs for transplant, quickly building a large, and loyal audience. So large, in fact, that in November of 2009 the University of Chicago Press published a “best of” collection of entries from their blog in their new book: Uncommon Sense: Economic Insights, from Marriage to Terrorism. Recently, Milt Rosenberg, the host of WGN radio’s Extension 720 invited the two on the show to discuss their new book, highlighting their pithy commentary on some of the most hot button issues of the day, including the legitimacy of the death penalty, NYC’s proposed ban on trans fats, and illegal immigration. To listen in navigate to the Extension 720 website to stream or download part 1 and part 2 of their conversation or find out . . .
As nearly everybody knows, or should know, the Second City is responsible for producing some of the best comedic talent of the last fifty years—Martin Short, Jim Belushi, Tina Fey—the list is quite long. 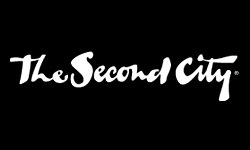 But the story of how the Second City became the number one source for great comedy, (and the University of Chicago’s not so small role in its rise to fame), is perhaps less well known. As this excerpt from Stephen E. Kercher’s Revel with a Cause: Liberal Satire in Postwar America relates, it was in the mid-50’s that, David Shepherd, Paul Sills, and Eugene Troobnic formed the Compass Players—an improvisational comedy troupe consisting of “alumni, dropouts and hangers-on from the University of Chicago,” several of whose members would go on to form the venerable Second City in 1959. But even though stardom didn’t strike until the Second City, it was the Compass Players who established the improvisational style, and foundational principles upon which the fame of its successor relied. Expanding on the chapters of Kercher’s book touching on the Players, Janet Coleman’s The Compass: The Improvisational Theatre that Revolutionized American Comedy provides the definitive account of this phenomena and how the rag-tag comedy troupe from the . . .